This covers the basic buying process that your customers will see with the default settings in place. Of course there are many ways you can customize this process, but this will give you a nice look into the overall flow. Be sure to start with our Quick Start Guide before proceeding to make sure the plugin is configured properly with your Cart66 Cloud account. Once you have a product form rendering inside of your product page or post in WordPress, your product is ready to be purchased! 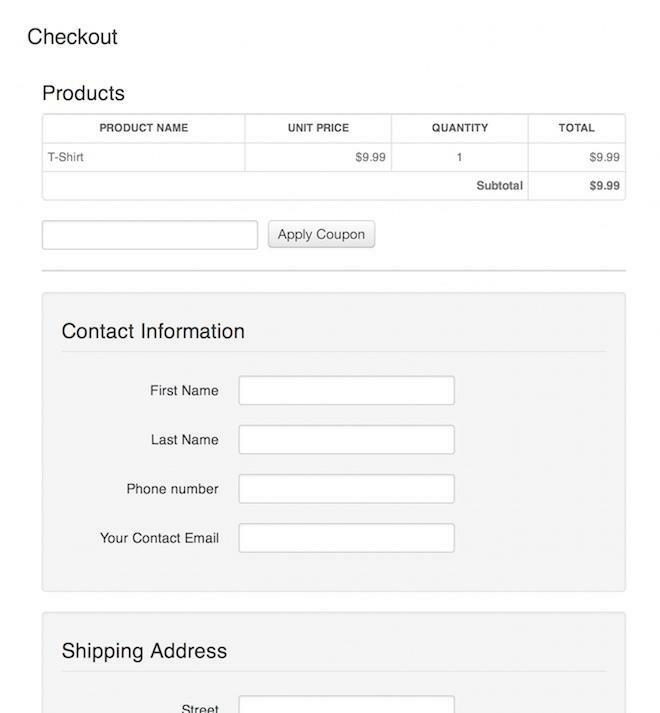 Clicking Add To Cart will add the product to the customer’s shopping cart and either show a message indicating it was added to their cart or redirect to a page you specify in your WordPress plugin settings. From here the customer can click View Cart to view their shopping cart page which is a secure, slurped page. The shopping cart page allows the customer to remove the product from their cart, update the quantity being purchased or enter a coupon code if available. 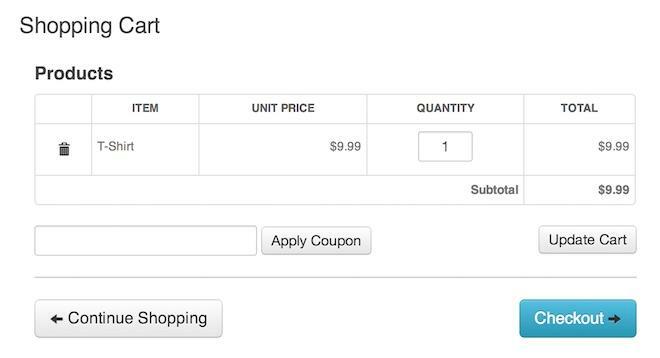 Clicking Checkout will take the customer to your secure, slurped checkout page. 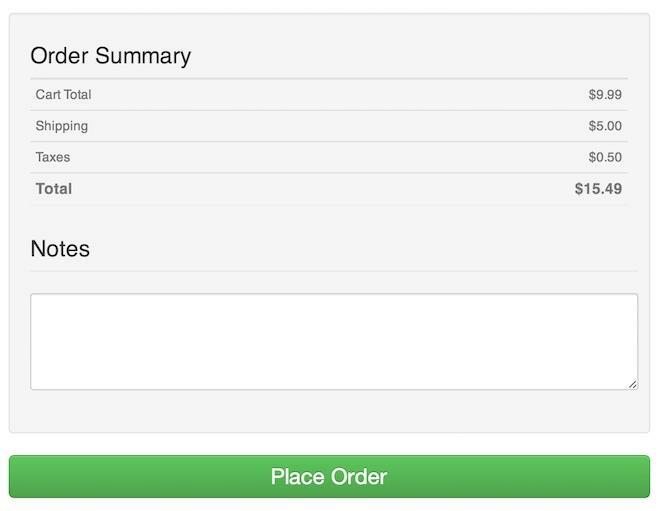 At the bottom of the checkout page the customer is presented with an order summary and a button to click to place the order. After the order has been placed successfully, your customer is redirected back to your WordPress site and shown a receipt page. 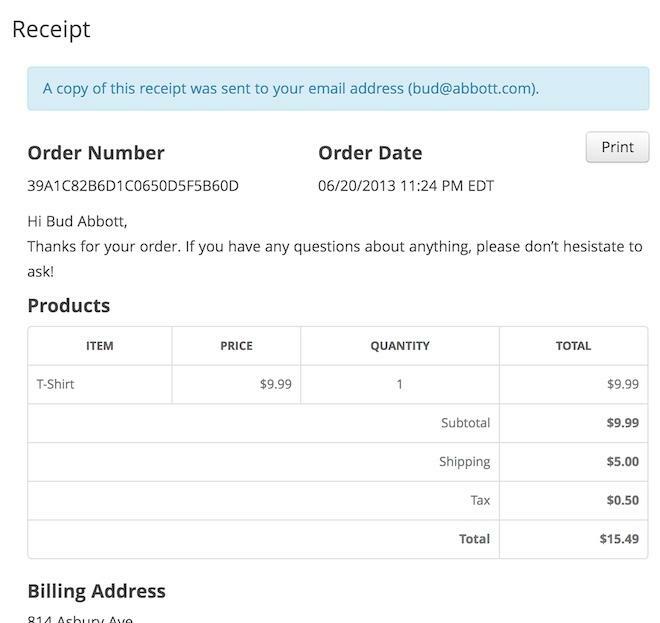 At this point, if you have email receipts enabled, your customer will also receive an email with this receipt. If you have your own order notifications enabled as well, each email address configured will receive a copy of this receipt. Of course there are many ways you can customize this buying process, but this gives you a high level look at what the buying process would look like for your customers given the default settings for everything.